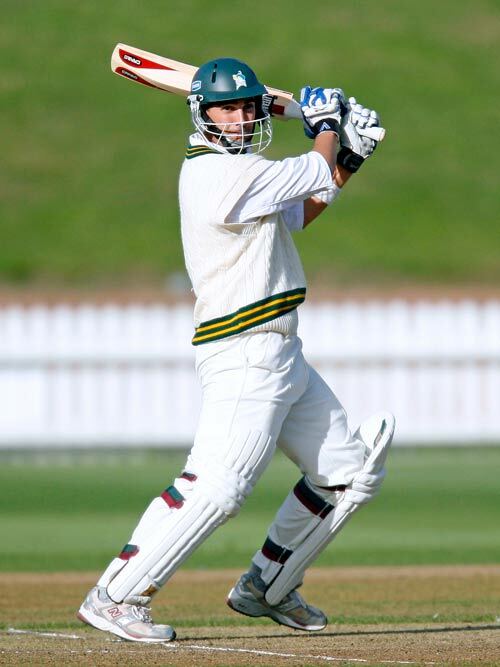 By 2014 Mathew Sinclair had become New Zealand's most prolific batsman in provincial cricket. He had played 119 matches for Central Districts, scoring 9,148 runs (the most by any provincial player) and 27 centuries. He had a batting average of 51.68. Sinclair was less successful at the international level. He played 33 tests for New Zealand, scoring three centuries, with a batting average of 32.06. He was particularly noted for his driving and cutting through the off-side, as seen in this image.